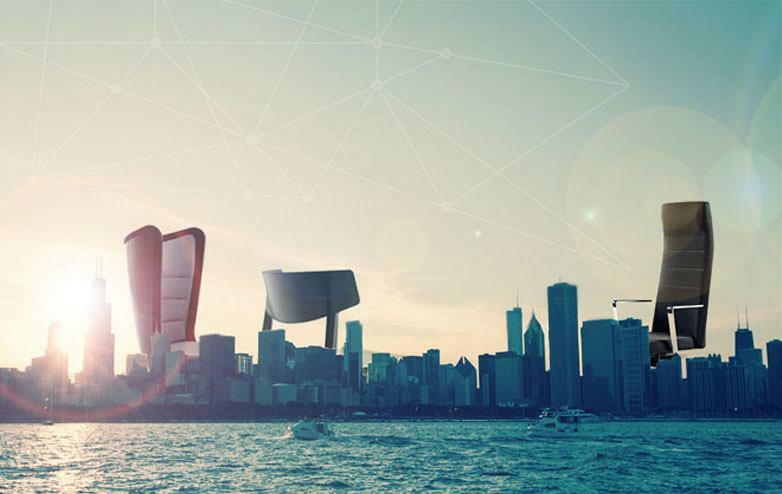 The market for furniture, decoration and interior design in the USA has its most important event at the NeoCon fair, which will take place in Chicago on 13, 14 and 15 June. Here, professionals from across the continent come together, interested in learning about the latest trends in furniture regarding contract, offices, Health, Public Works or Facility. More than 50,000 professionals will attend this exhibition which will bring together 500 worldwide companies, nearly 50 years after it first took place. 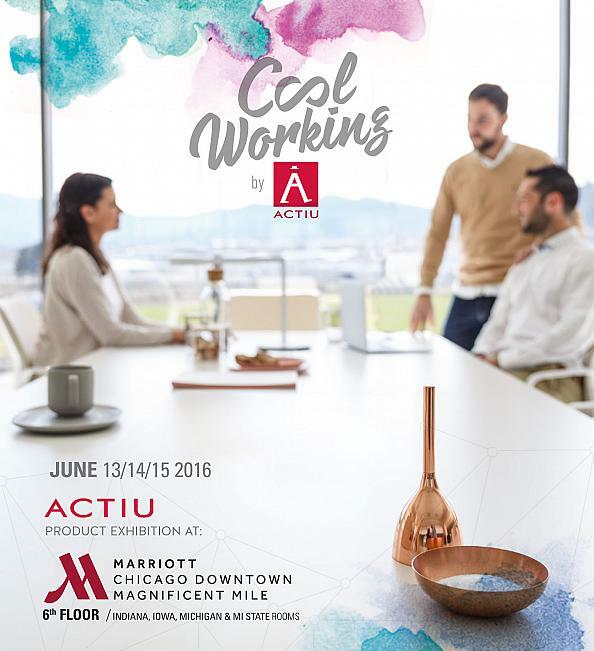 Taking advantage of this very important event for the global furniture industry, Actiu has organised a product exhibition and a wide program of activities at the Hotel Chicago Marriott Downtown Magnificent Mile, near the fairground area. In this space, the furniture company for offices and collective spaces want to show you their latest programs and know-how as European manufacturers for around 50 years. An exhibition focusing on design, innovation, the welfare of people and sustainability. On Monday 13 June, Actiu will use the first day of the fair to carry out its American Annual Convention, which for the fifth consecutive year will bring together the main collaborators throughout the continent. On Tuesday 14 June from 9:30 until 4:30 in the afternoon, the doors of the product exhibition will be opened to the public and the latest designs from the company will be displayed. The Efit operational chair, designed by Alegre Design, will be presented for the first time to the public; the TNK Flex chair, also designed by Alegre Design which has been adapted to the morphology and kinetics of the human body and which fits like a glove; the Mobility elevating desk program, designed by ITEM Designworks, which continues to evolve technically to provide the best user experience; Badminton, from the same studio, in various formats and finishes, an iconic chair that is installed in the most advanced and leading spaces in the world; or the various applications that Longo has: a desk program, seating and storage systems that, devised by Ramos & Bassols, manages to combine operational positions with soft seating. From 5 pm, in the activities framed within the new philosophy of the brand called Cool Working and which advocates workspaces that care for the welfare of people, Actiu presents the architect and designer Juan Carlos Baumgartner, without doubt one of the most influential representatives in the vanguard of work spaces, design and happiness. 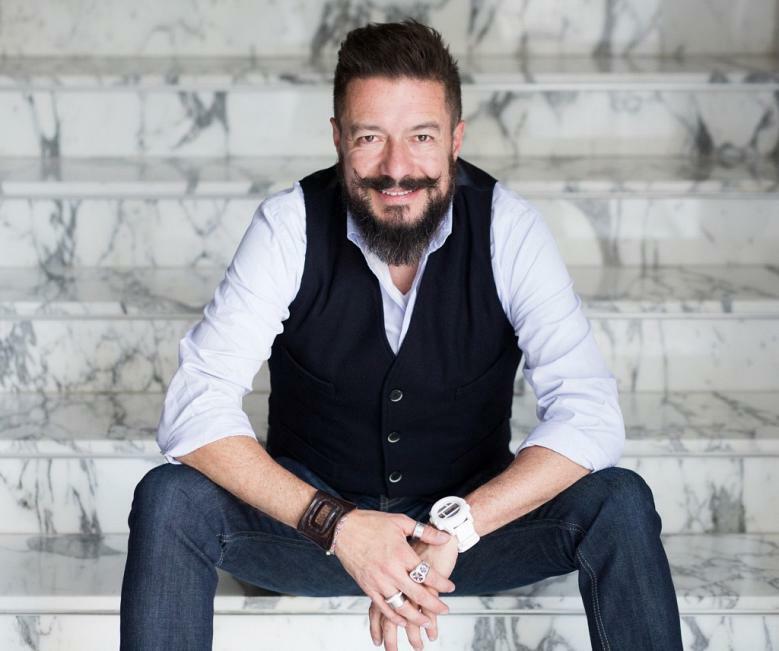 The Mexican architect will give a talk on, "The revolution of design", where he will discuss the projects of spaces which have been developed in collaboration with Harvard University and designed to enhance the happiness of people. Afterwards, a cocktail party will take place, where you can sample tapas and Spanish wine. On Wednesday 15 June, the exhibition will be open to all those who wish to attend in an individual way to get to know Actiu design and furniture and the new "Cool Working" experience, a way of looking at and organising workspaces, which is changing the way we equip and distribute offices to make them more affable spaces, for welfare and productivity.